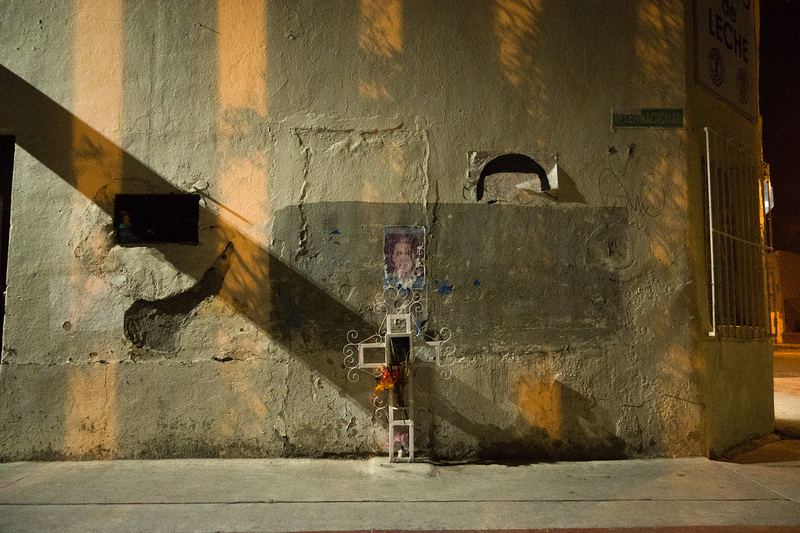 The site of Jose Antonio Elena Rodriguez death. The 16-year-old was shot 10 times in the back and head the night of Oct. 10, 2012, by Border Patrol agent Lonnie Swartz firing through the border fence into Nogales, Sonora. Agents said they were assaulted by rock throwers. Nogales, Mexico. October, 2016.